Since moving to Phoenix in January 2017, the city’s chief information officer, Matthew Arvay, has mostly kept his head down. But Arvay told StateScoop last week that the past two years have been focused on major overhauls to the growing city’s information technology infrastructure and the culture that that drives its IT governance. Among those projects, Arvay said in a phone interview, is a complete replacement of the Phoenix government’s 30-year-old telephone system with a voice-over-internet-protocol network — a job that will eventually include 12,000 new phones spread across 500 locations, connected by 300 miles of new cable — enough to cover the distance to Las Vegas. Arvay’s also started to modernize Phoenix’s municipal data center and bring in new deputies to refresh the city’s Information Technology Services department. 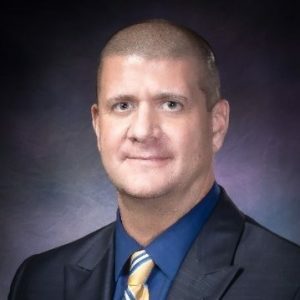 Among the hires Arvay has made are Steen Hambric, a former chief technology officer for the U.S. House of Representatives as an assistant CIO, and Shannon Lawson, a former chief information security officer for the state of Alaska, who will start next month as Phoenix’s new cybersecurity chief. Arvay’s purview also extends beyond city’s central government to include IT management over Sky Harbor International Airport and the Phoenix Fire Department, which serves about two dozen suburbs in addition to the main city of 1.6 million. Between the phone and data-center replacement projects, the new executive hires and IT oversight beyond city hall, Phoenix’s IT budget has grown to more than $150 million, Arvay said. The growth of Phoenix’s IT department is also now happening against the backdrop of a new mayor, Kate Gallego, a 37-year-old former city council member who was sworn in last Thursday. Arvay, who was hired away from Virginia Beach, Virginia, by former Mayor Greg Stanton, said he has not yet sat down with his new boss, but said Gallego was one of the more “tech savvy” members of the Phoenix City Council while she served on it. “I’m really excited to have the chance to work with her because I think she truly understands how technology can help us provide service not only our residents but to help us solve some of our community challenges,” Arvay said. The phone-replacement project is about 75 percent complete, Arvay said. Going into the new mayor’s term, he anticipates working on Phoenix’s “smart city” agenda, including the replacement of about 90,000 street lights with LED bulbs, and new programming to help homeless residents, which he said will span as many as nine city agencies, including the police and human services departments. He also said his department will be increasing its data-collection initiatives ahead of the 2020 U.S. Census to make sure all the city’s residents are counted.